This summer, head for Dubai’s beaches … or islands in the making. Investors already are. 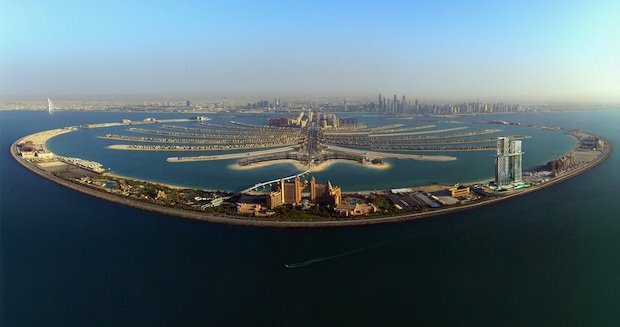 In the first-half of the year, some of the priciest deals for off-plan properties in Dubai happened on one such island, the Jumeirah Bay — located 300 metres off the Jumeirah 2 coast — from Meraas. Two of the Bvlgari Residences there fetched Dh60 million and Dh50 million, respectively, and higher than the previous record for a penthouse in Dubai, which sold for Dh42 million in 2014. In May, Meraas issued a statement that more than 60 per cent of the 188 Bvlgari branded homes have been sold. The apartments cost between Dh4.5 million and Dh13 million. The community also includes the first Bvlgari-branded “mansions”, totalling 15 and with prices of Dh18 million to Dh51 million. Meraas recently revealed that it will commence the handover of Bvlgari Residences early 2018. The luxurious residences have garnered great interest from property owners around the world since they went on sale, with all eight penthouses and over 60 per cent of the 188 units at Bvlgari Residences sold. Across the Jumeirah beachfront, Meraas has Jumeirah Bay, Bluewaters, and the Nikki Beach located on Pearl Jumeira in the Jumeirah 1 area (the island’s access is right next to Etihad Museum). Meraas has started marketing the Nikki residences extensively, with billboards being the most visible. Some of Dubai’s new round of offshore destinations are hospitality themed, such as the Marsa Al Arab, a Dh6 billion plus project that will see two new islands either side of Burj Al Arab. Then there is the beachside development that will see wasl Hospitality create an MGM-branded attraction — a 26-acre resort with 2 million square feet of built-up space. It will occupy the “longest stretch of water­front” in Dubai. The island and beachfront activity does not stop at the Jumeirah Road stretch. Further down, there is Nakheel’s Deira Islands. And that’s a different scale altogether.